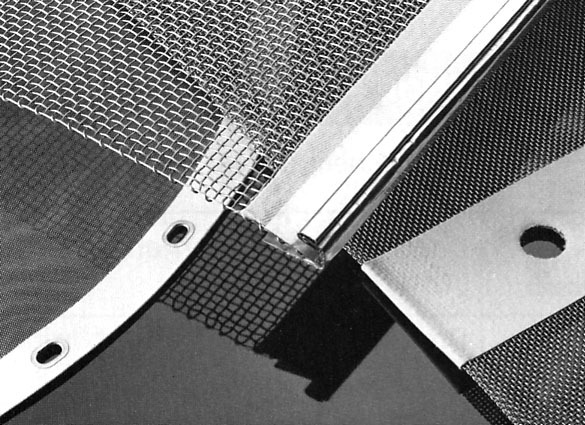 Square Opening Wire Screens are primarily used in dry sizing applications in industries such as mining, quarries, sand/gravel and chemical. Brown-Campbell offers screens in a multitude of sizes with a variety of hook and edge designs, ready for installation into any type of equipment. The following tables include 4” to 1/8” square openings - for other sizes please contact Brown-Campbell’s experienced sales staff at 1-800-GRATING. The following links provide valuable information regarding wire diameter, % open area and weight of various opening sizes of square opening wire screens.